Two flights and a 3-hour car trip brought us to La Fortuna, our first destination in Costa Rica. There´s enough daylight during our arrival to get a sneak preview of what this town is famous for, the Arenal Volcano. It did help that we stayed a bit out of town and much closer to the volcano where it stood outside our cabin at the Hotel La Pradera like a menacing big bully. Anyone who´s seen Mt. Mayon will have a volcanic deja vu, this being conical just like its deadly sister in the Philippines. We´re visiting Costa Rica during rainy season, euphemistically called green season by tourism officials here, but I've come to expect that rain will be part of our adventure. Even our connecting flight from Miami had to do a detour and thus a longer flight time just to avoid Hurricane Gustav´s wrath south of Cuba. By the time we landed in the capital city of San Jose, we were half an hour late but no problema, the driver arranged to pick us up was patiently waiting, even greeting us Pura Vida - or ¨pure life¨ - as Ticos (as Costa Ricans are called) define how they want to live. What´s good: it wasn´t raining yet, yehey! We drove into the countryside and felt at home like we were in the Philippines, even the houses with those rusty corrugated roofs are so Pinoy. La Fortuna is a small town but the volcano´s eruption in 1968 and its subsequent belching of molten lava and rocks have resulted in a tourist boom. More tourist means more hotels. Thus, the entire safe-zone periphery of the volcano is peppered with lodgings that cater to a variety of budgets. I decided on La Pradera because it´s close to the volcano yet still affords a quick access to town. No worries about getting hit with lava when Arenal shows off its regular volcanic tantrums. It´s on the other side but at any rate, I´m sleeping tonight with my running shoes next to me. This being a do-it-yourself trip, I was in contact with Arenal Evergreen, one of the local tour operators in La Fortuna even before I flew out of New York. Utilizing local companies saves more money and helps the local economy as well - I do this whenever a trip is not complicated. For our first dinner, we went to town and stumbled into Lava Lounge Bar & Grill. 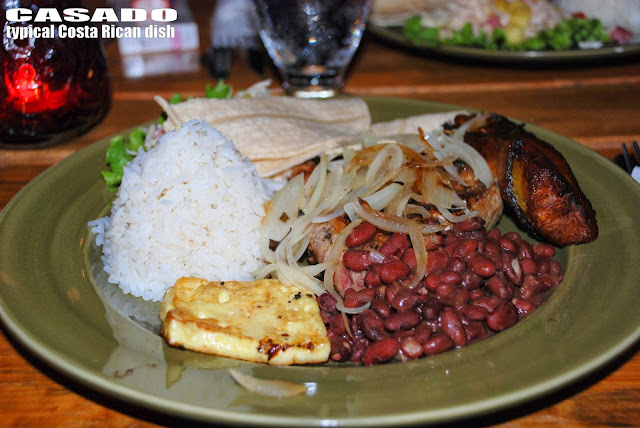 What else would we be having but Casado, a traditional Costa Rican dish that has meat, rice and beans, salad and fried plantains crowding a large plate. Scott, the owner, came to our table evidently helping his all-male staff. The food is good and the service is quite attentive, no wonder all the tables were occupied. Tomorrow´s gonna be a long day. 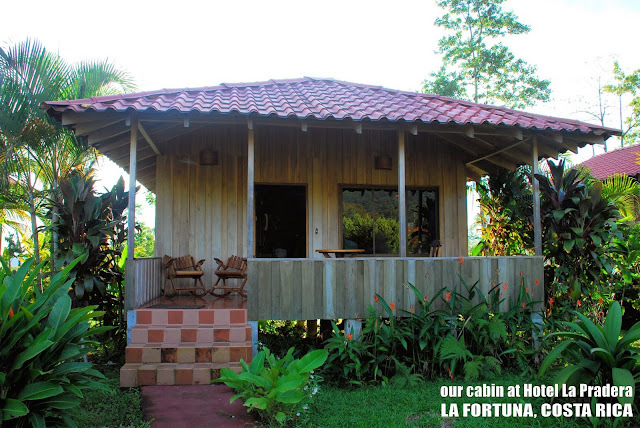 Sara Cardenas, owner of Arenal Evergreen, has arranged a trinity of active pursuits for us. Hmmm....I´m afraid I might need more than Ibuprofen after that. 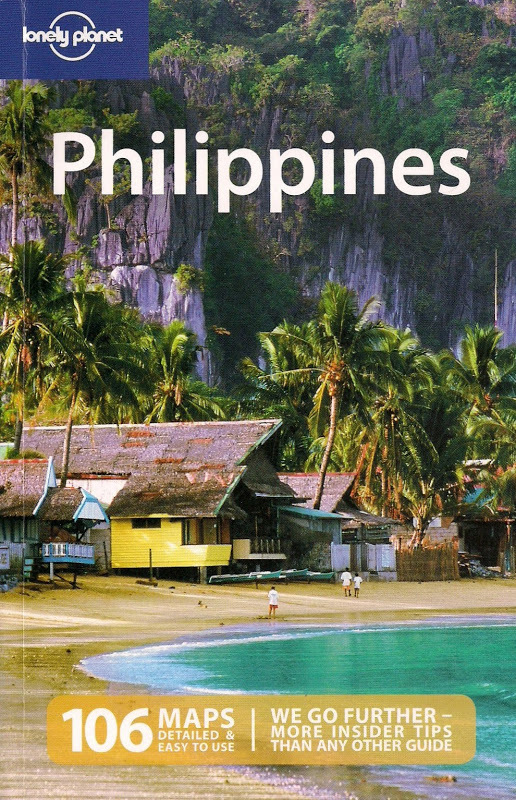 Hopefully, my companions Richard and Neil won´t hate me for dragging them here.